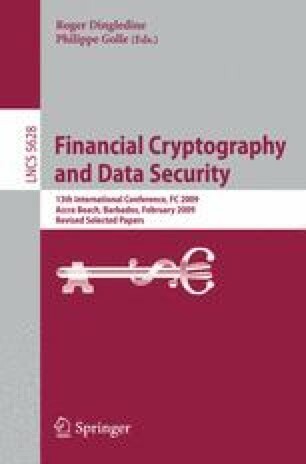 In this note, we report on the first large-scale and practical application of secure multiparty computation, which took place in January 2008. We also report on the novel cryptographic protocols that were used. This work was supported by the Danish Strategic Research Council and the European Commision. Tomas Toft’s work was partially performed at Aarhus University. In Holland, he was supported by the research program Sentinels, financed by Technology Foundation STW, the Netherlands Organization for Scientific Research (NWO), and the Dutch Ministry of Economic Affairs.